to sit a read a book. that is quite the collection of books! i just borrowed the happiness project book from the library, can't wait to read it! Oh my. 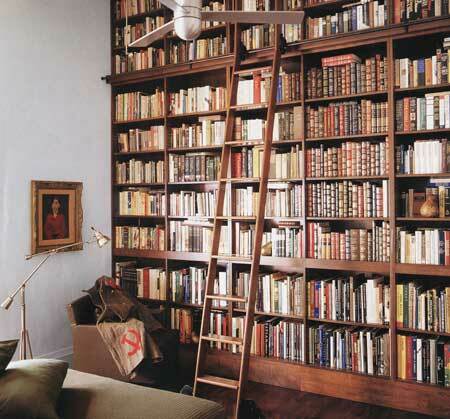 I think my family would starve if I had any one of these lovely libraries in my home. I would never come out (except for chocolate). Wow these are just beautiful!! I love the first set of shelves! I have tons & tons of books!!! 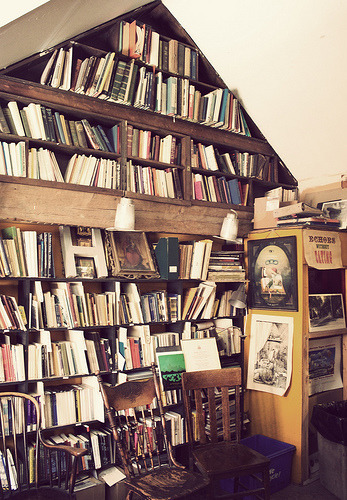 If I could I'd have a full studio apartment just of books! =) Cute post! It's definitely a grand act of willpower not to come home from the used bookshop with armloads of books each time. Now if I had those lovely shelves to hold it all, I'd be singing a different tune right now. Thanks for sharing such beautiful shots! these are all so wonderful. Gives me so many ideas of what I can do in my new home. I have been trying to figure out what type of book shelves to build in the living room and these are very helpful. Thank you for sharing. I am such a book person! They make my heart sing just looking at them. Seriously, I will never buy a Kindle for that reason. Oh, I'm typing this from the library! How wonderfully fitting! Oh such lovely books! I wish I had more reading time too! girl, i love all these pictures. i had some vintage books that i gave away during my move. im bummed that we didnt have room for them - they are amazing pieces for any decor! Funny thing is, I finally have the time to read, but I definitely don't have the room to put any of these wonderful bookshelves! i love shelves of books! After looking at these lovely pictures, I found myself itching to finish the book on my nightstand. Or the 15 (or so) under my bed. I love books and buy far too many to actually read. 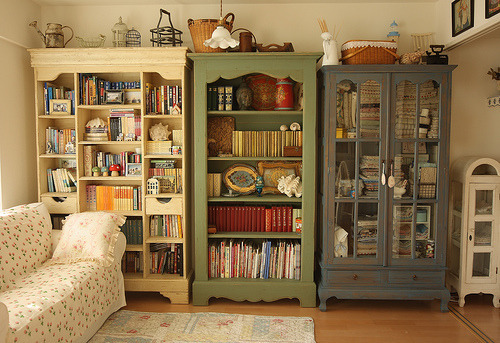 But I have always dreamed of having a huge library someday, organized by color or some other oddity. Thanks for the inspiration! I love books so, so much. I did a week of book-related posts on my blog last week because I love them so very much but didn't come across some of those images--I particularly like the last one! and I share that desire for time to sit and read books. sigh. built in bookshelves are to die for! i can't wait to have a room like that in my house someday. Hi Danni! Ah, I love getting lost in a good book. This post is awesome. this is my FAVOURITE POST IN THE WORLD!!! Your blog is lovely, dear! OMG...I LOVE those pictures. I love to read. beautiful photos, i always wanted a library of my own. I'm so sorry I wasn't clear enough. The photo that belongs to Jessica Claire is actually the one with only half the girl in it--the girl in the white dress with the red bow...the bookshelf with flowers on top. 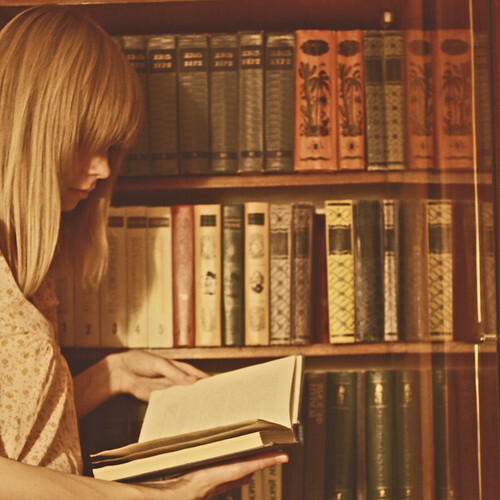 I love to read, and I think that the books someone keeps in their home is such a great way to get to know them! Before we had blogs that said 'currently reading'- it was a window into what someone seeks in their alone time. *gasp*! love. MUST have floor to ceiling shelves in my future home.